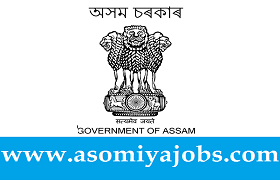 Directorate Elementary Education, Assam recruitment of Driver,Total post-03 Nos. Directorate of Elementary Education, Assam , online applications are invited through the official website of Directorate of Elementary Education, Assam ,from the candidates who are citizen of India as defined in Articles 5 to 8 of the Constitutions of India and permanent resident of Assam for filling up of the vacancies as indicated below under the Directorate of Elementary Education, Assam, Please check below for more details. Candidates, 47 in respect of OBC/ MOBC Candidates as on 01/01/2019. The relaxation shall be applicable only to those candidates who have attained the required educational qualification prior to crossing of existing upper age limit of 38 years. There will be no provision for age condonation. 2. Educational Qualification : HSLC Examination passed or equivalent with Medium Vehicle Licence of Driving issued by the Competent Authority. 3. How to apply : Application will be received only online in the official website of the DEE, Assam, i.e. www.dee.assam.gov.in from the Midnight of 8th March, 2019 to the Midnight of 30th March, 2019. The State Level Selection Committee will constitute separate District Level Selection Committees for the respective districts for verification of original documents of the candidates in the district based on their permanent address. The candidates must attend the verification process as per schedule, which will be published in the Newspapers and the official website of DEE, Assam later on. Notification will be published for downloading the Admit Cards from the office website of DEE, Assam i.e. www.dee.assam.gov.in for attending the Objective Type Written Examination (OMR)/ Interview as per the existing Govt. Rules. The venue and date etc. for Written Examination (OMR)/ Interview (as per the existing Govt. Rules) will be notified in due course through the official Website and Newspapers. Applications not accompanied with all necessary attachments/ not in proper size/ form will be rejected. No TA/DA is admissible for attending the Written Examination (OMR)/ Interview as per existing Govt. Rules. Canvassing directly or indirectly will disqualify the candidature.